It’s confirmed! 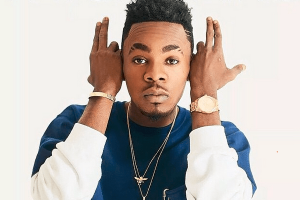 Nigerian superstar Patoranking is coming to perform in Zimbabwe on the 26th of April at the Harare International Conference Centre. He is headlining a great line-up of local performers, which includes Jah Prayzah, EXQ, Takura, Nutty O, Sulu, Jah Signal, Shabach Tha Band and many more. Tickets to the show will be available soon. Music fans can begin earning a chance to win free tickets to the show by liking and following our pages on twitter, facebook and instagram @powerfmzimbabwe.